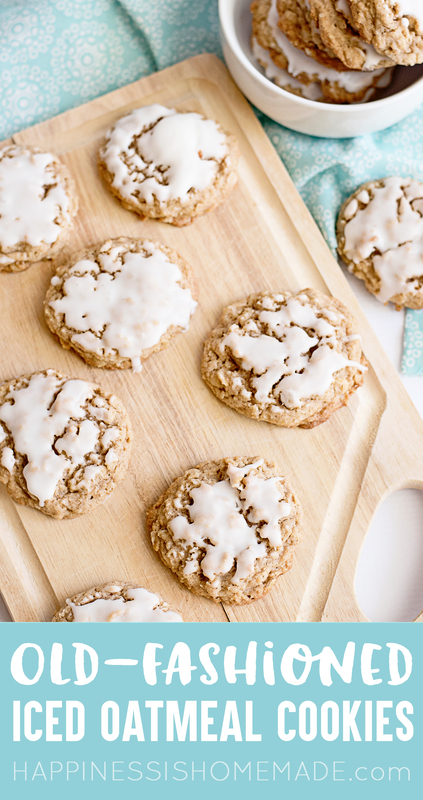 Old-Fashioned Iced Oatmeal Cookies are a classic, and this iced oatmeal cookie recipe is sure to be a new favorite! They’re crispy on the outside and soft inside with a chewy finish – perfect with a tall glass of milk! This post may contain affiliate links. I will receive a small commission from these sales at no additional cost to you! 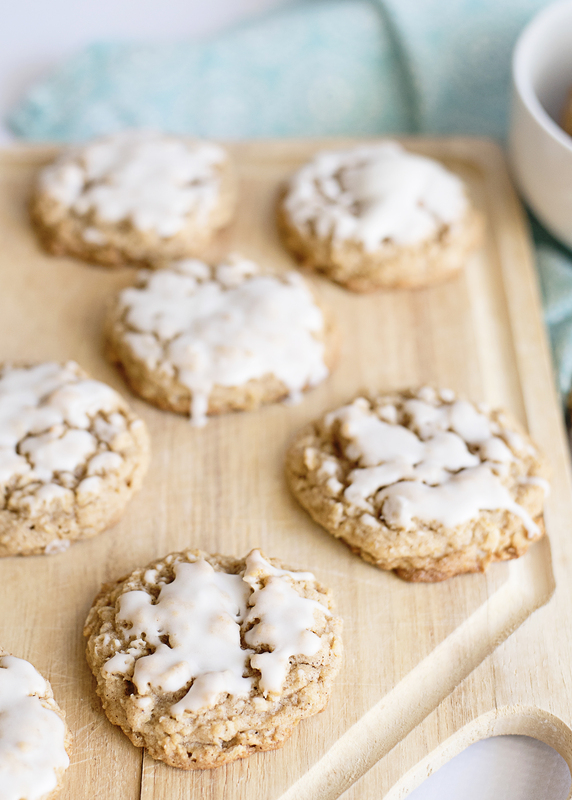 Old-Fashioned Iced Oatmeal Cookies are one of my favorite cookies ever (they totally remind me of Grandma’s house! 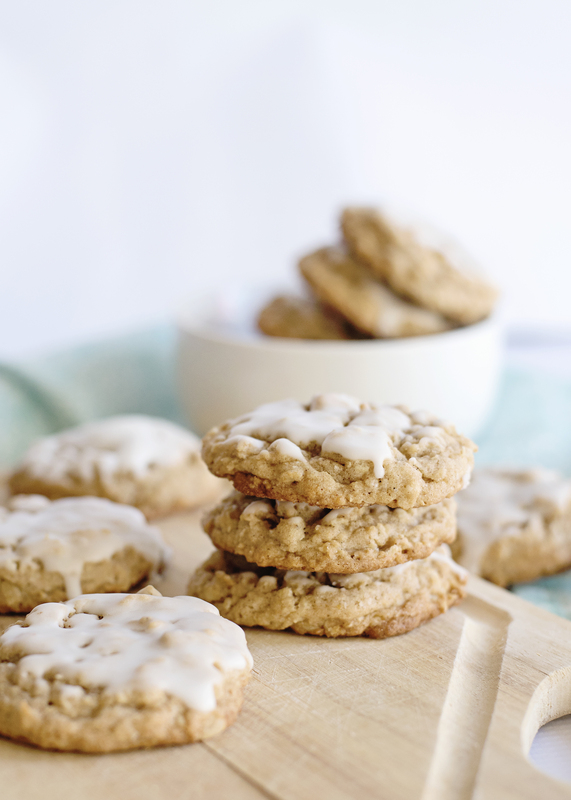 ), and this iced oatmeal cookie recipe is a surefire winner! They’re the perfect combination of crispy, soft, and chewy, sprinkled with just the right amount of spices to make these cookies a crowd favorite! 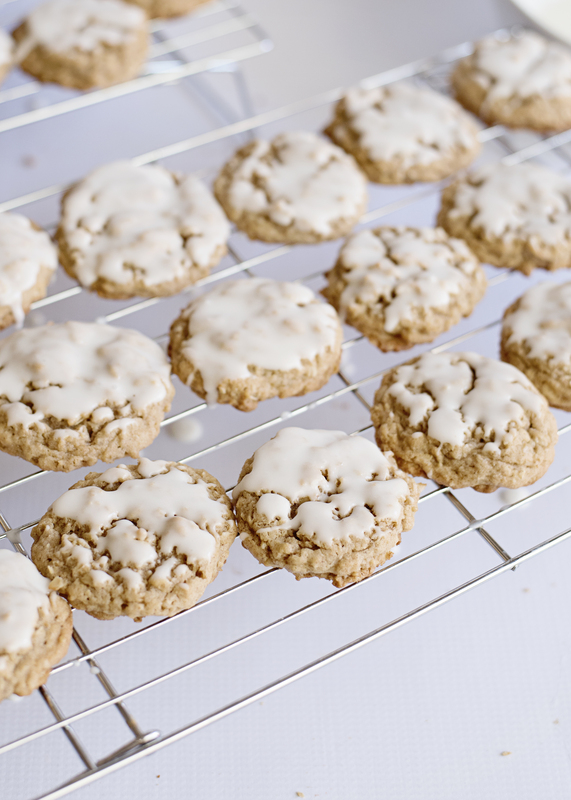 Now, I’ve already gotten a couple of repeat questions about this iced oatmeal cookie recipe, so I’m going to address those frequently asked questions before we jump into the recipe so that your cookies turn out perfectly! Can I use quick oats instead of old-fashioned oats? Unfortunately, no. Quick cooking oats absorb liquids and cook faster than old-fashioned oats, and this also holds true when the oats are baked, resulting in a different taste and texture. 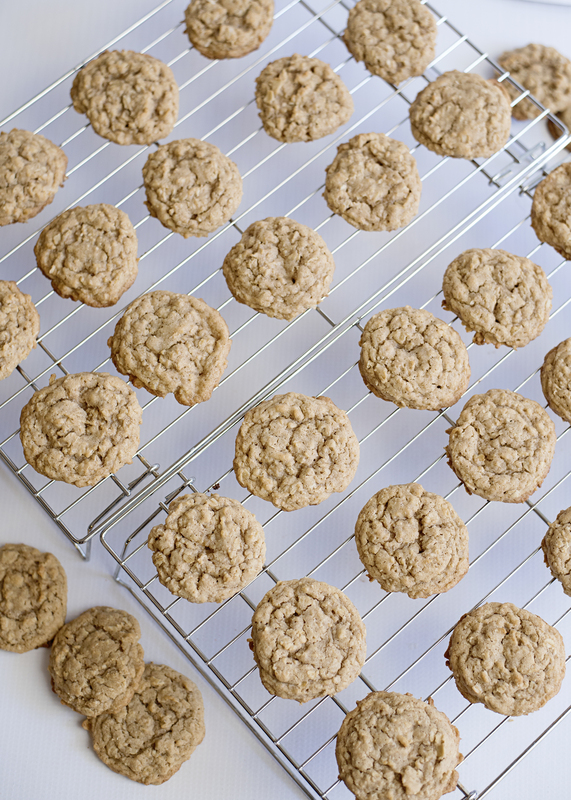 Although the techniques that we use in this recipe turn the old-fashioned oats into a version that may look similar to quick oats, the resulting cookies are NOT the same when made with quick-cooking oats. 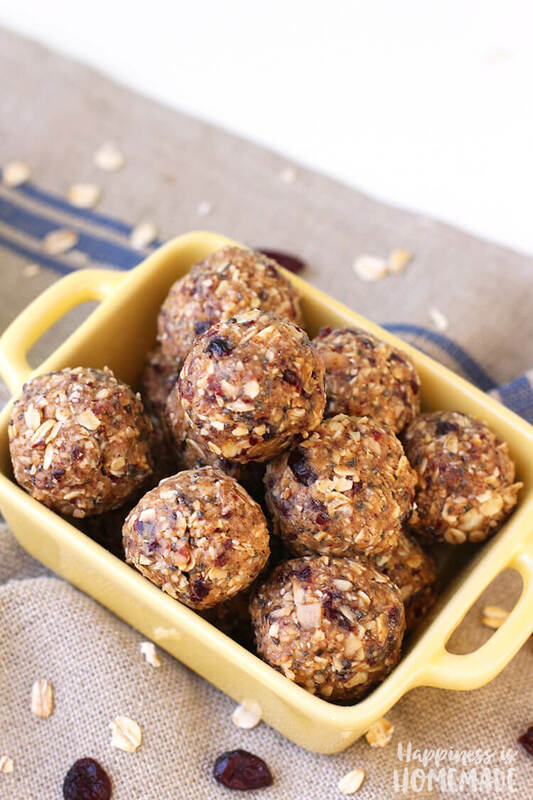 If you opt to use quick oats, you likely will not end up with the results that you were looking for. 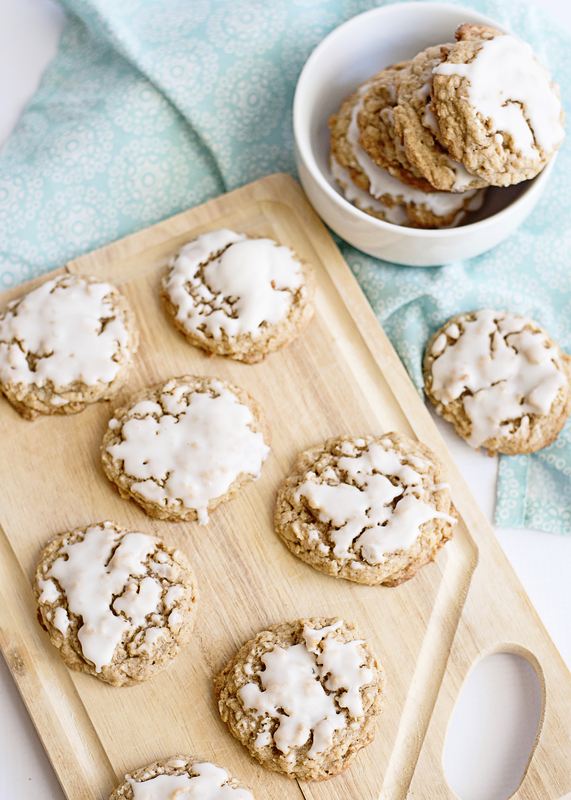 Are these oatmeal cookies gluten-free? As this recipe is written, these cookies are not gluten-free, however, it is super easy to modify the recipe to be gluten-free! 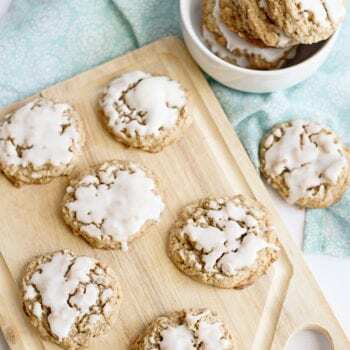 To make these iced oatmeal cookies gluten-free, use gluten-free oats, substitute gluten-free flour in place of all-purpose flour (my favorite is Cup 4 Cup brand), and make sure to use a gluten-free baking powder. Okay, now that those are out of the way, let’s get down to business! Start by mixing together all of the wet ingredients. Before you mix together the dry ingredients, use a food processor or high-grade blender to gently pulse your oats a few times. 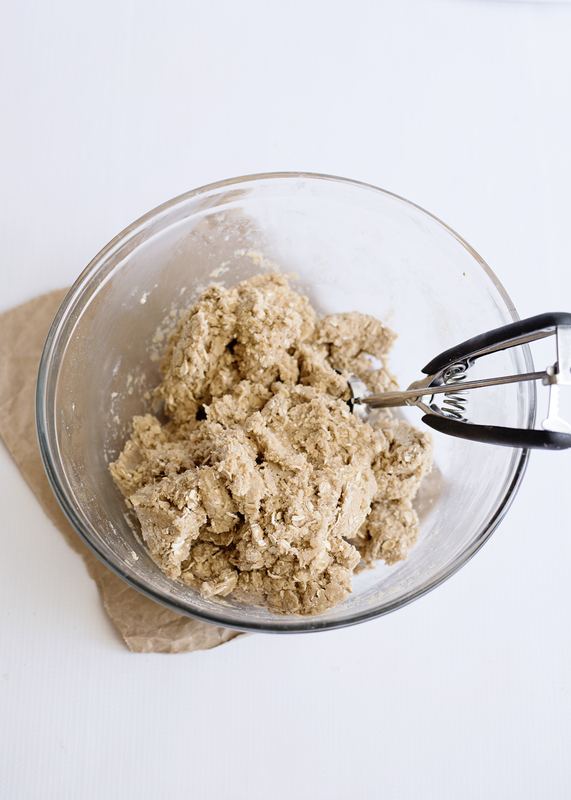 The goal is not to make oat flour, but to create a variety of textures in your cookies, so only quickly pulse a few times! Combine the wet and dry ingredients until a soft dough is formed. 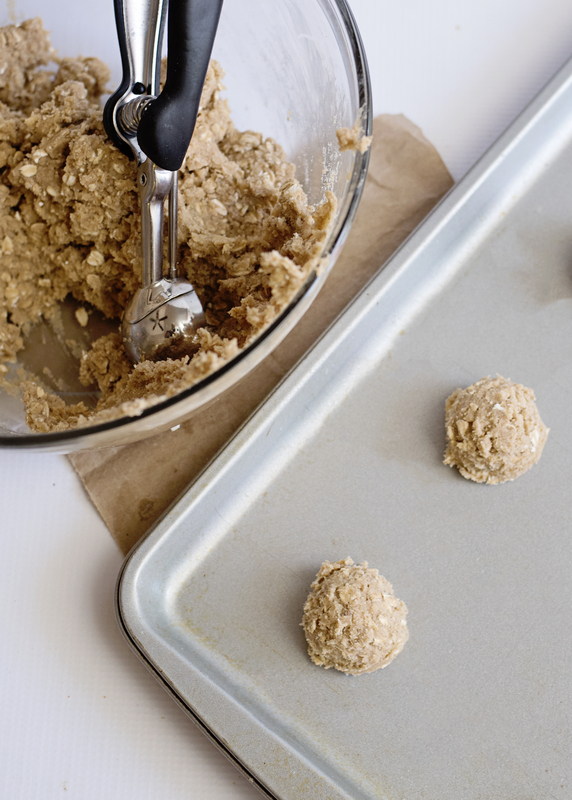 Use a 2″ cookie scoop to scoop the cookie dough into a ball and place on the cookie sheet about 2 inches apart. Note: I’m normally a stickler about lining my baking sheets with silicone mats or parchment paper, but in a pinch, a quick spritz of cooking spray will also work. 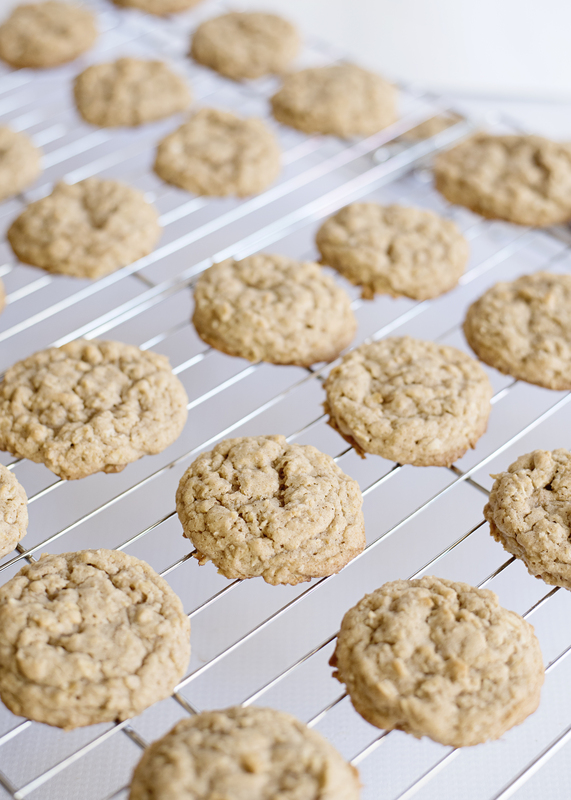 Bake the cookies, and allow them to cool on the baking sheet for five minutes before transferring them to a wire cooling rack. Dip the top of each cookie into the icing and place on the racks again while the icing firms up. YUM! Just like I remember from Grandma’s house! What is the best way to store fresh baked cookies? Cookies are best stored in an air-tight container or in a well-sealed plastic zipper bag for up to 5 days. Tip: You can revive cookies that have gone hard by placing a piece of white bread in the bag or container with the cookies for a few hours. The cookies will absorb the moisture from the bread and get soft again! Can I freeze oatmeal cookies? Yes! I would suggest freezing the cookies in a single layer on a baking sheet until completely frozen and then transferring them to a plastic freezer bag, placing a layer of parchment or freezer paper between each layer of cookies. 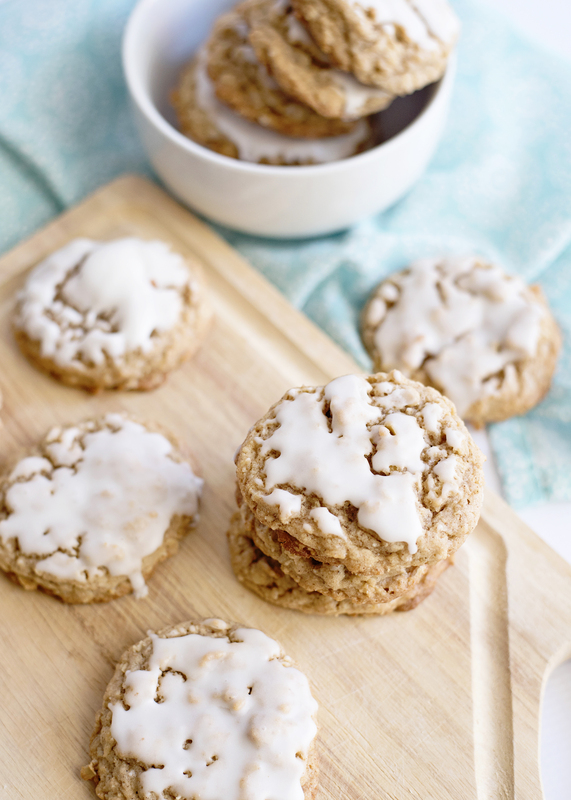 This Old-Fashioned Iced Oatmeal Cookie recipe is sure to be a new favorite! They're crispy on the outside and soft inside with a chewy finish - perfect with a tall glass of milk! 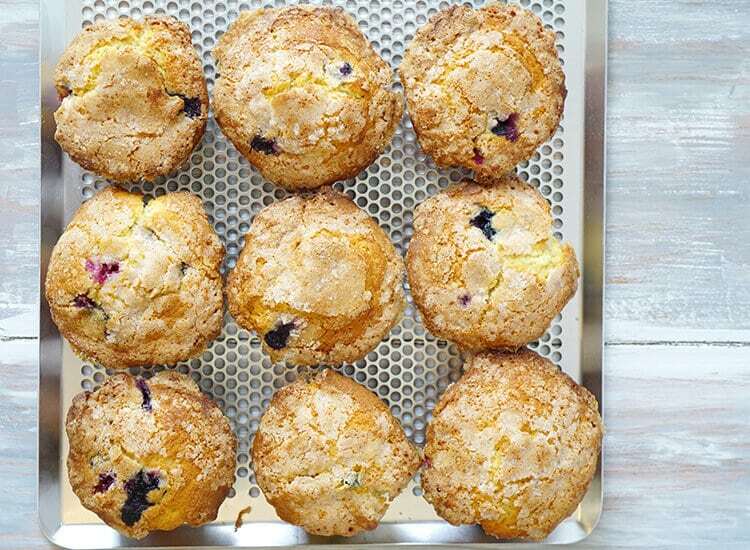 Preheat oven to 350 degrees and prepare your baking sheets with non-stick spray or parchment paper. Using a food processor, pulse your oats just a few times. 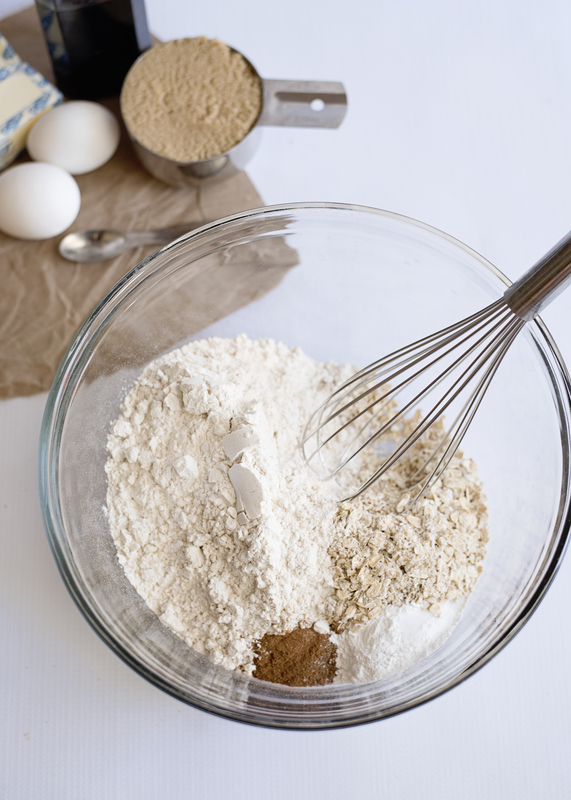 Tip: Only pulse a few times to create a variety of textures in the oats, but do NOT over-process or you'll end up with oat flour! 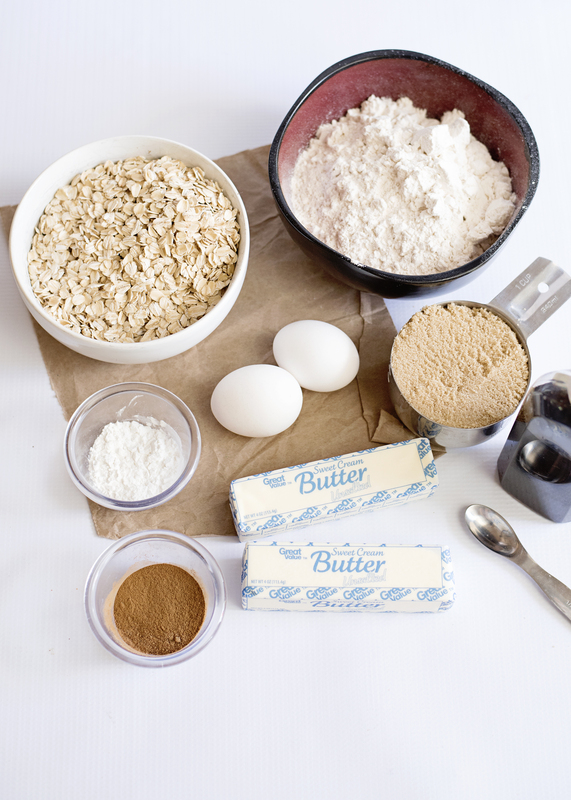 In a mixing bowl, combine the oats, flour, baking powder, baking soda, salt, cinnamon and nutmeg. Set aside. 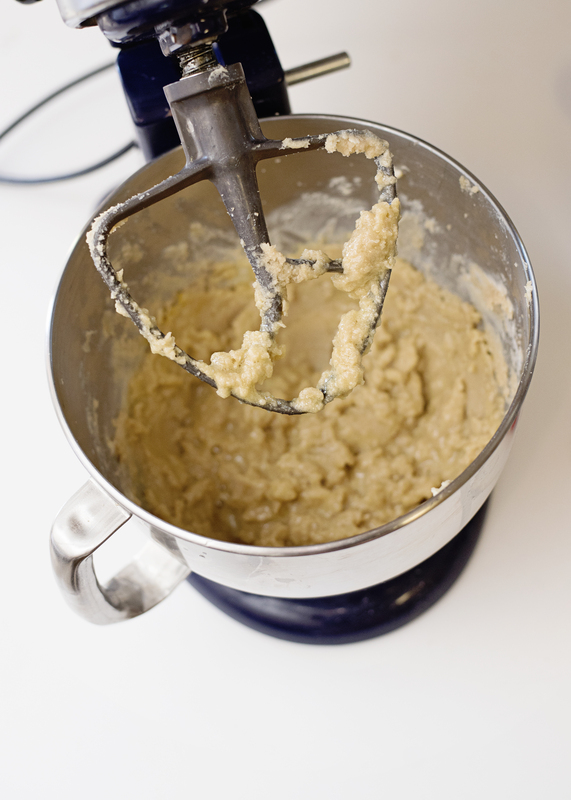 In a large bowl, mix together the butter and both sugars until it’s light and fluffy. Add in the eggs and mix until just combined. Slowly add in the dry mixture, mixing well until all added and combined. 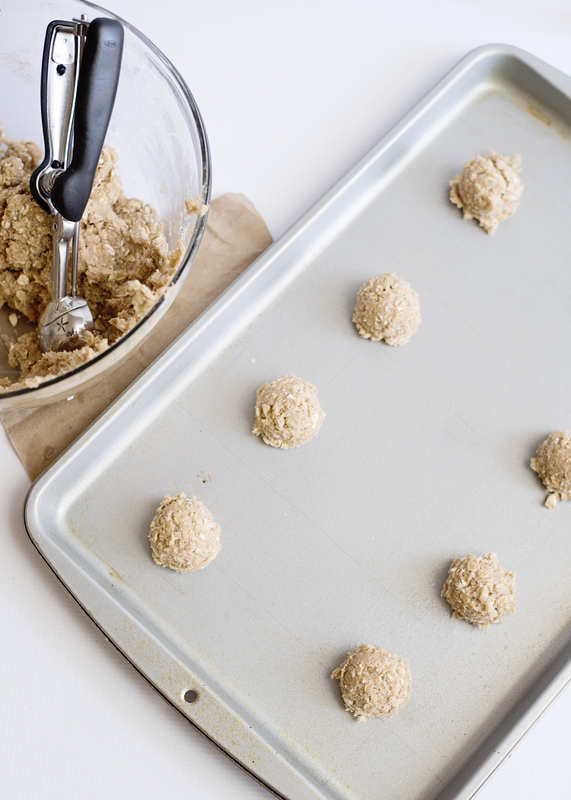 Scoop the cookie dough into the size of 2 tbsp, roll into a ball and place on the cookie sheet about 2 inches apart. Bake for 10-12 minutes. Allow the cookies to cool for about 5 minutes before removing from the sheet as they will spread and flatten a little more. 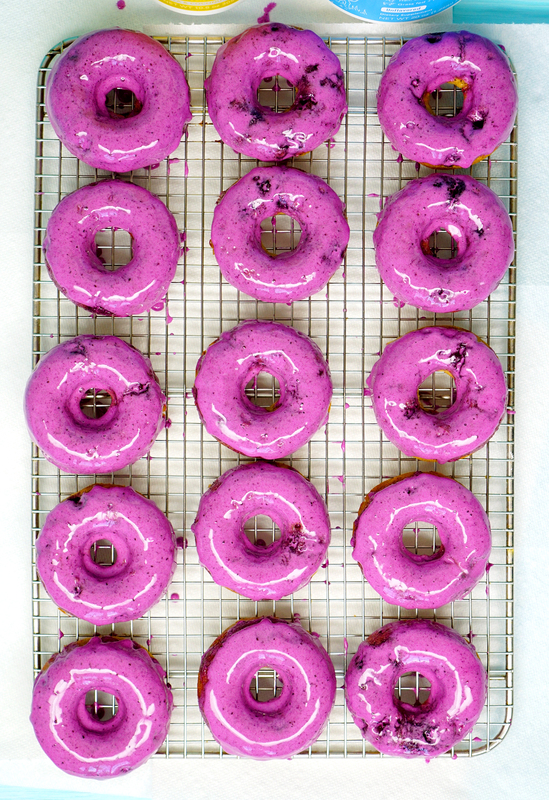 Once cooled, prepare the icing by mixing the powdered sugar, vanilla, and 2 tbsp of milk. Slowly add more milk to get the desired consistency. Take each cookie and dip it into the icing face down, do this very lightly. A light dipping will allow the icing to drip into the cracks of your cookies. Cool on a rack until the icing sets. Enjoy! 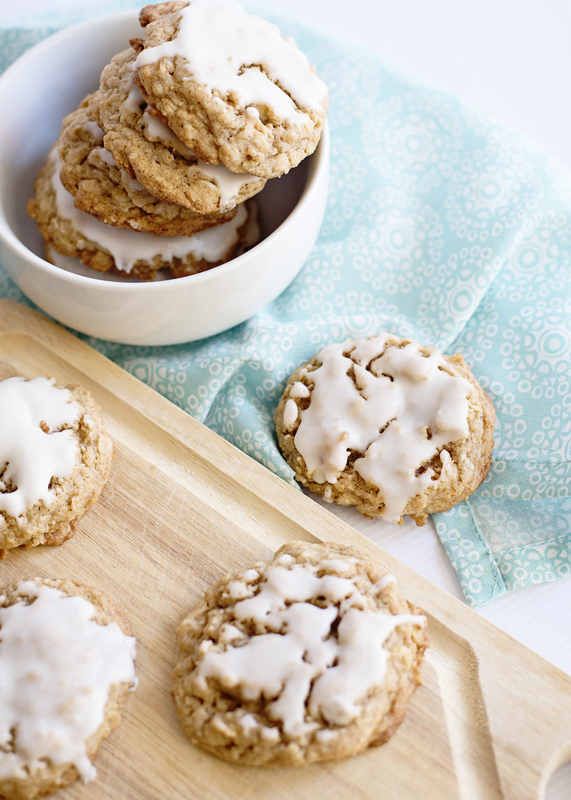 Pin these Old-Fashioned Iced Oatmeal Cookies for Later!